Chandan loves meeting people and learning from their life’s experiences. He is an ultra positive person who always focuses on something good about any situation in life. Before starting Blue Consulting, he worked in a joint venture of a Fortune 500 company, Halliburton Logging Services Inc., USA and headed a team of 8 people in it’s Finance & Accounts function. Chandan is a big fan of system’s approach to work and that’s his strength too. He strongly believes in making highly simple systems, which are easy to use, and becomes part of habit. He is an avid reader of autobiographies of iconic people and self help books to feed him with inspiration and motivation. He is a movie enthusiast and always looks forward to enjoy movies every weekend (though he doesn’t have TV at home by choice). He ensures to take 4 holidays in a year to keep him energized and has inspired many others to follow the suit. 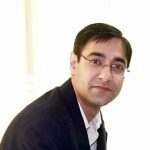 Chandan has been a curriculum graduate and an Introduction Leader with Landmark Education (world’s leading company in personal growth). Chandan is a Chartered Accountant and hold a Bachelor’s degree in Commerce from Kirori Mal College (KMC), Delhi University. Gaurav is always dressed with smile and comes across as a very calm and composed person. He is an amazing listener and understands the perspective of other person’s point of view. He leads the Operations at Blue Consulting and has been instrumental in setting ups systems and processes. He believes in progress over perfection. Gaurav has been a curriculum graduate and an Introduction Leader with Landmark Education (world’s leading company in personal growth). Gaurav is a Chartered Accountant by education. Kumar Nitin has started the Hyderabad Office of Blue Consulting. Nitin is a CA & CMA by profession and has an extensive experience of 17+ years in the myriad of Finance & Accounts. 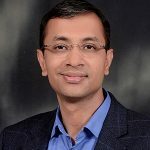 He has worked with the HAL, Infosys Technologies, NTT Data, Lumeris Inc. & CtrlS Datacenters in his earlier stints in capacity of CFO, VP & Director. Nitin is also an awardee of CFO 100 Roll of the honor for the year 2016 organized by 9dot9 Media. 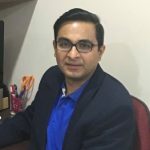 Nitin, as his name suggests (Knower of Niti, The Policy or the Dharma), has a strong conviction for the Internal Finance Controls and Corporate Governance within the organization. He is passionate for the process improvisation, thereby, bringing in transparency with the system. Outside the office, Nitin, is an avid driver and a cook. He has driven more than 75,000 KMs on the Indian Highways. This gives him opportunity to interact with the multiple shades of people with multiple cultural and geographical experiences. He is also a seeker, engaged in exploring the Vedic Texts, which keeps him ever motivated.